Please pray for me, as I am working, but can't pay my bills or rent. Plus my manager keeps picking on me so I will quit, but I need this job for my health benefits. I live alone and am lonely, and have no friends. I am a devout catholic and pray the rosary every day. I live a chaste and holy life, but am very unhappy. 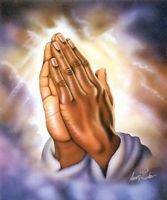 Please pray for me that God would bless me with financial relief, or a new job, My hours have been cut to 4 hours a day, and have to rush to complete my tasks, and if I make a mistake I am threatened, somebody please pray for me. Hello, how are you today? I hope your financial situation is better than when you wrote your prayer petition. Ever since I've read (and reread) these volumes I have never felt alone again, by God's grace! I hope the same for you (and anybody out there who feels lonely). Edmon, stay in touch, as i would like to know if my prayers for you are helping you, Today, i got called in to work on a scheduled day off, and got almost 8 hours,it was unbeleivable! Hi, Edmon, thank you so much for your input. It is nice to know someone will be praying for me, and yes; i will include you in my prayers for the situation you are in, too get your back wages. I cannot quit because i have diabetes and need the medical benefits. Plus other medications that i need, but am having trouble trying to pay the co-pays. The most logical solution for me, would be to get another job; but where i live, especially in the winter, i would need a miracle. Jesus said where 2 or 3 people agree on earth about anything in prayer, it will be granted to them, so i will be agreeing in prayer for you. Thank you for also praying for my emotional needs. And thank you for your advice. My name is Bob Mcgurk; I will pray the Rosary tonight for both of us; May God answer our prayers thru the intercession of Our Lady! We are in the same predicament ... I understand you. As I have my own job too, but have been underpaid for 3 months already. I can't quit without me getting paid for those backwages. Anyhow, I see that you are a devout catholic. Just keep on praying, an immediate answer to your prayers will come to you in ways you least expect it. My name is Edmon Gonzales... include me to your prayers. I will also pray for you too. You can give me your name so I can pray for your financial and emotional needs.